Tesla Motors made history when it introduced the all-electric Model S, a sleek sports sedan acclaimed for its advanced aerodynamics and handsome styling. While the Model S was still a concept, QCP was tasked with taking rapid prototype parts to full-scale production. Tesla’s design and engineering teams took extraordinary lengths to deliver forward-thinking technology and high-quality fits and finishes. 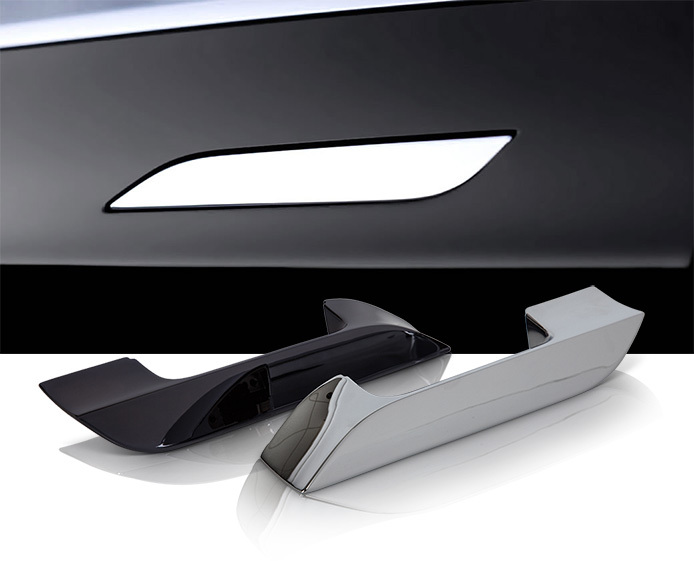 The zero profile door-handles featured on the Model S are a work of art. QCP electroplated these rapid prototype parts for use during design and pre-production viewing. After the design freeze, we successfully ramped up production from a handful of units per week to today’s full-scale production of 6,000 units per week. QCP empowers manufacturers to dream up ideas, produce multiple finished concepts and prototypes, and ultimately achieve full-scale production levels.